Elisabetta sits on the Società Italiana Brevetti’s Board of Administration. She is the firm’s Head of patents. Practising since 1999, Elisabetta has drafted and prosecuted patent applications for, and provided advice to, major research organisations, universities and multinational companies as well as Italian and foreign medium-sized companies. Her practice has focused in particular on biomechanic and biomedical patents. She is part of SIB’s Nano Bio Team, a multidisciplinary group of experts that deals with drafting, filing and prosecuting patent applications concerning new technologies, particularly in the nanotechnology platform. Elisabetta is enrolled with the Register of Court-Appointed Experts on Industrial Property of the Court of Rome, which is the Italian Court with the largest specialised IP section. She also acts as ex-parte expert in patent litigation. Elisabetta teaches European Patent practice and strategies in courses leading up to European Patent Attorney qualification exams organised by the Centre d’Etudes Internationales de la Propriété Industrielle (R. Schuman University, Strasbourg) and by the European Patent Institute. She is a former member of the EPO’s EC-III examination committee in charge of marking D papers during the qualifying examination for European Patent Attorneys (EQE). 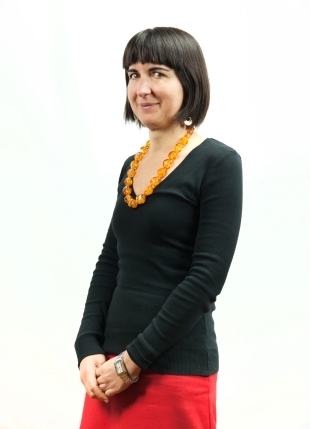 Elisabetta is the author of several international scientific publications in the field of biomechanics. She contributes to specialised journals on subjects related to European Patent law and IP protection. Italian and European patents in the field of mechanics, biomechanics and biomedical appliances. Member of the Ordine dei Consulenti in Proprietà Industriale (Italian Industrial Property Consultants Institute), of the Collegio dei Consulenti in Proprietà Industriale (Italian section of FICPI), of the Institute of Professional Representatives before the European Patent Office, of AIPPI, FICPI, LES, AIPLA, EPLIT and of the Italian Professional Engineering Institute; enrolled with the Register of Court-Appointed Experts on Industrial Property of the Court of Rome. Intellectual Asset Management Patent 1000 – The World’s Leading Patent Practitioners 2014-2018. Five-year degree in Mechanical Engineering, La Sapienza University of Rome. PhD in Bioengineering, University of Bologna. Diploma in Patent Litigation in Europe, Centre d’Études Internationales de la Propriété Intellectuelle, University of Strasbourg.